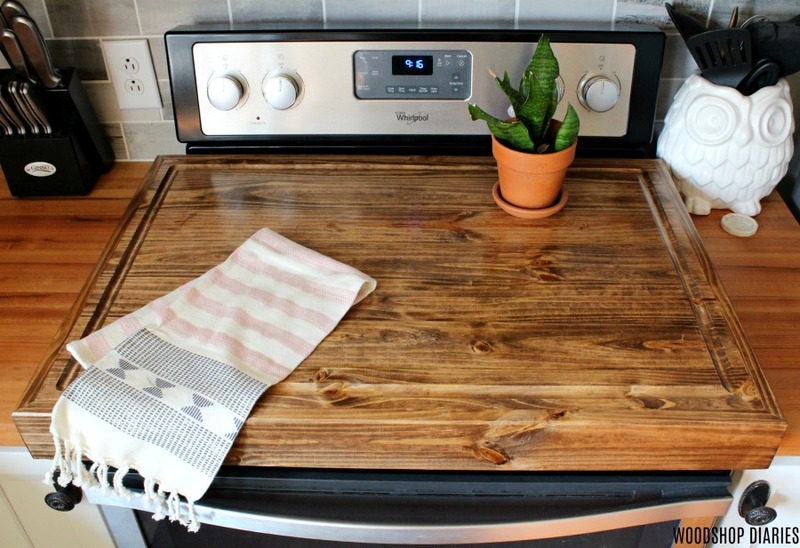 Make a DIY wooden stove top cover and add more counter space to your kitchen! Hey, all! 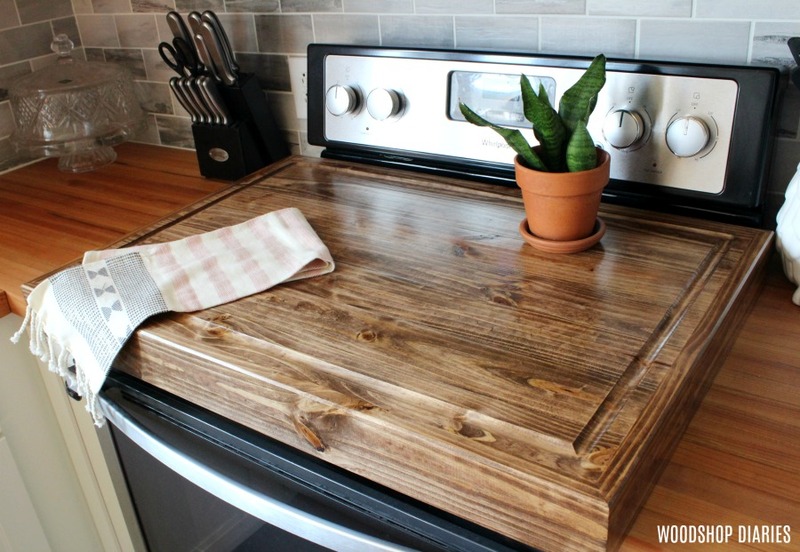 It’s Shara here from Woodshop Diaries and I’m excited to be back on The House of Wood sharing one of my latest projects, a DIY wooden stove top cover! First, measure your stove. MOST stoves (not all) are standard width, but they can sometimes vary in depth, especially if it’s got controls on the back like mine. 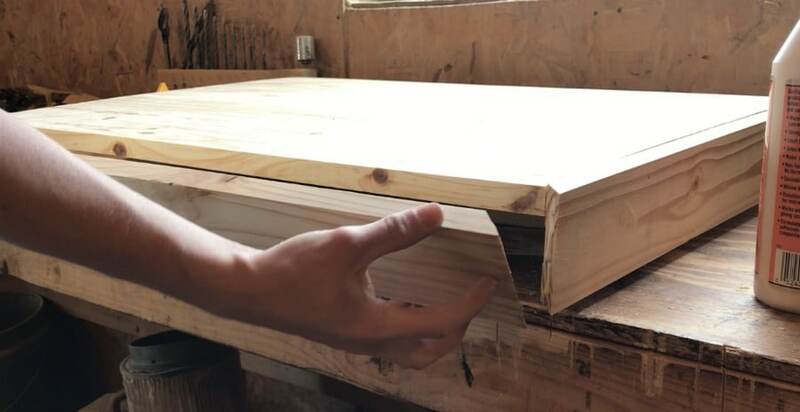 Make sure to make your interior dimensions of your cover big enough to fit over your stove. 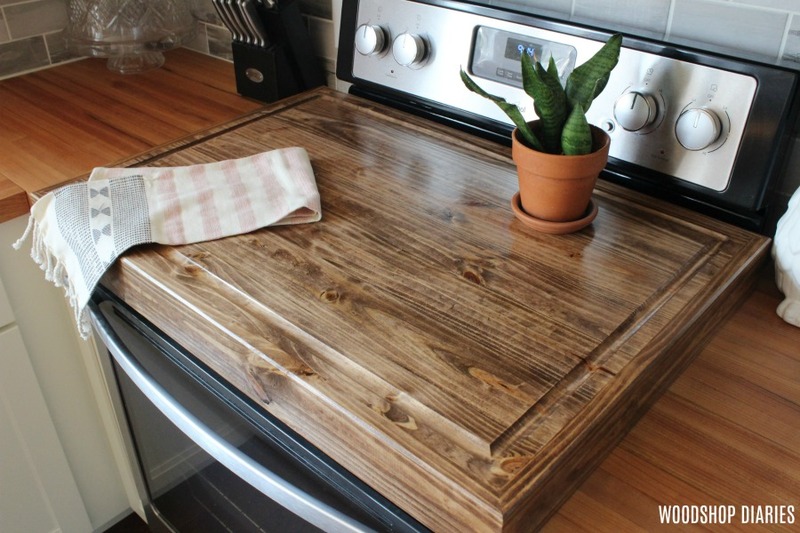 Also, FYI, I used pine for this and I stained it since I wasn’t planning to use it as a cutting board – it’s just decorative. 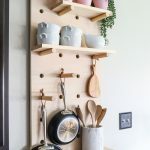 However, if you plan to use it for food prep, be sure to finish in something food safe (not stain) and it’s best to use a hardwood like maple or walnut. 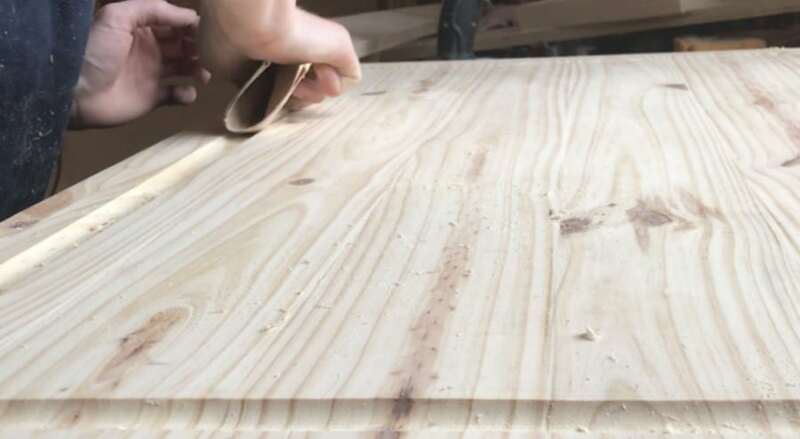 Apply glue in the grooves of the boards and clamp together as shown. Allow the glue to fully dry. 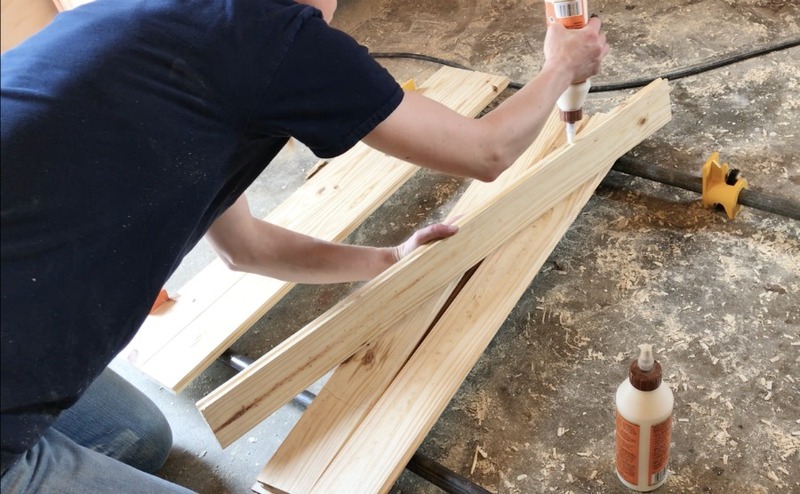 Once the glue is fully dry, remove the clamps and use a table saw or a circular saw and straight edge to trim down all sides to your desired opening size. Make sure to trim to trim all sides smooth (so no tongues or grooves are showing). 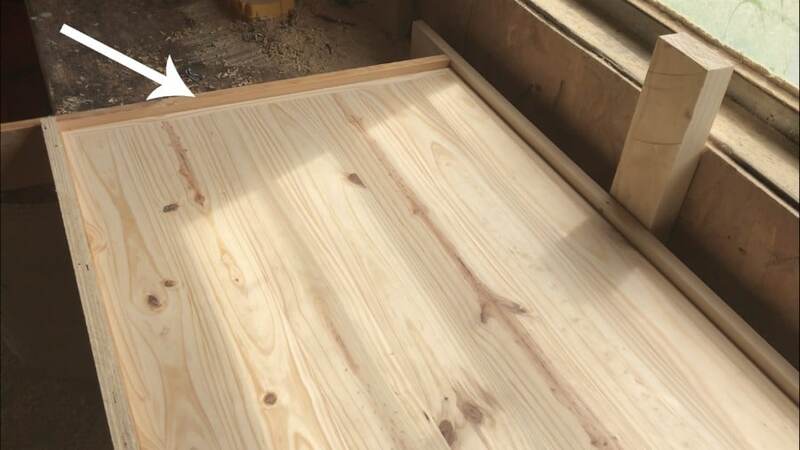 Then, cut pieces of 1×4 tongue and groove to trim out around the edges of this piece. Miter the corners 45 degrees for a more seamless look. 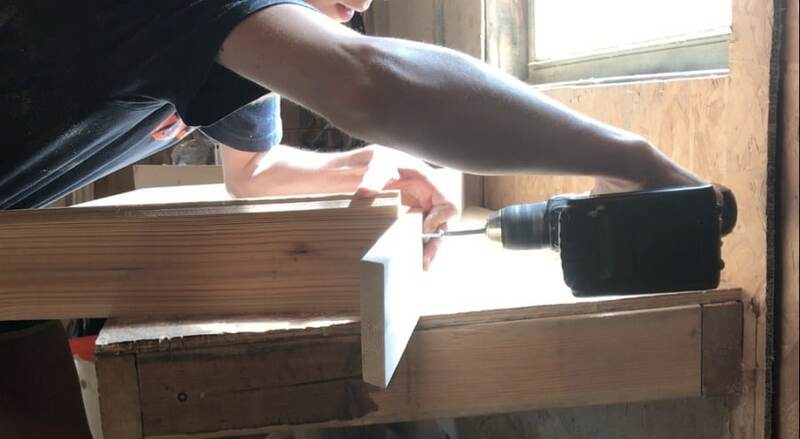 Cut to fit these pieces around the edges for a tight fit and clean joints. Once you’ve got them cut to size, trim off the tongues using a table saw. Glue and nail these pieces into place like shown (ignore the ugly corner joint here, I was just holding in place for a picture) making sure the smooth sides (not the grooves) face upward. 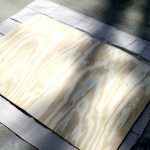 Allow glue to dry completely, then sand all the joints and corners smooth. At this point, you could stain or finish (don’t stain if preparing food on) if desired. But I added a juice groove for added effect. 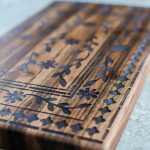 It’s mostly decorative to make it look like a real cutting board, BUT could also come in handy if you spilled something on it. 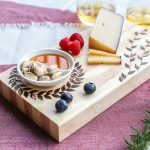 A juice groove is just like a little groove you cut along the edges to catch any liquids or spills from your cutting board. To do this, I screwed some scraps together around the cover. 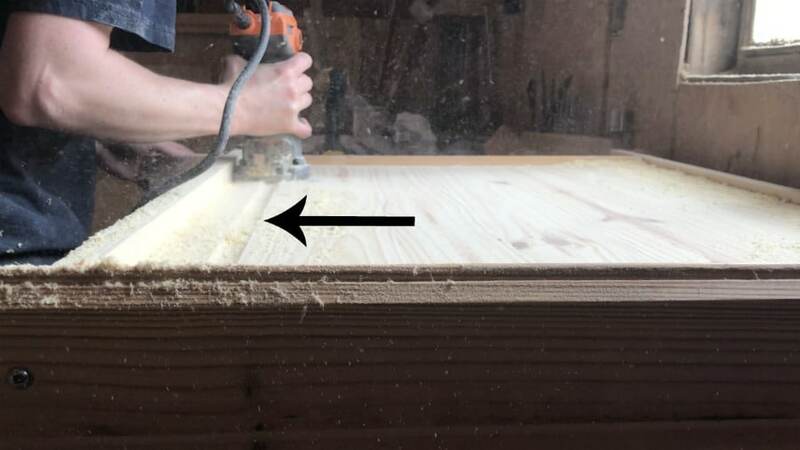 Don’t screw directly to the cover, but screw the boards together TIGHTLY around the cover like shown. This will be used as a routing guide. 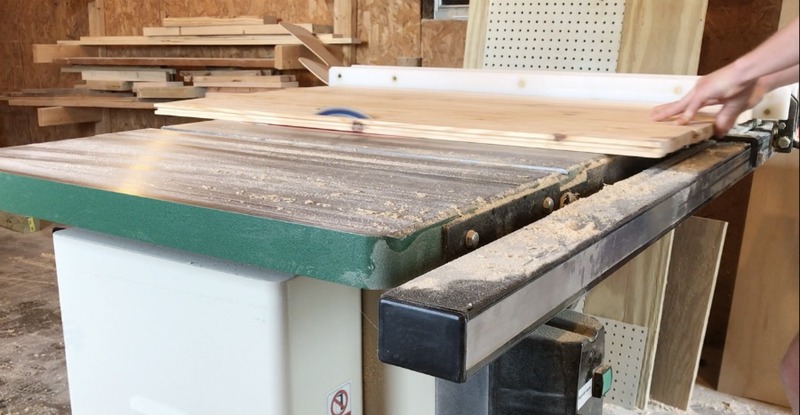 Insert a juice groove router bit into your router and SLOWLY and CAREFULLY run your router along the outside edge. 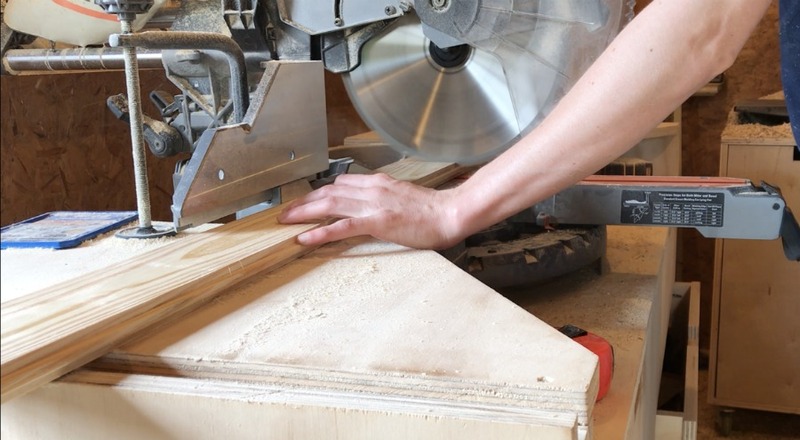 Keep it pressed against the lip of the boxed edge all the way around. Unscrew the scrap wood and sand the groove once complete. Finish as desired. I stained mine and finished with a water-based clear coat. 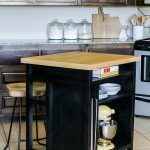 However, if using to prepare food, be sure to use a food safe finish (not stain), something like a mineral oil or butcher block oil. 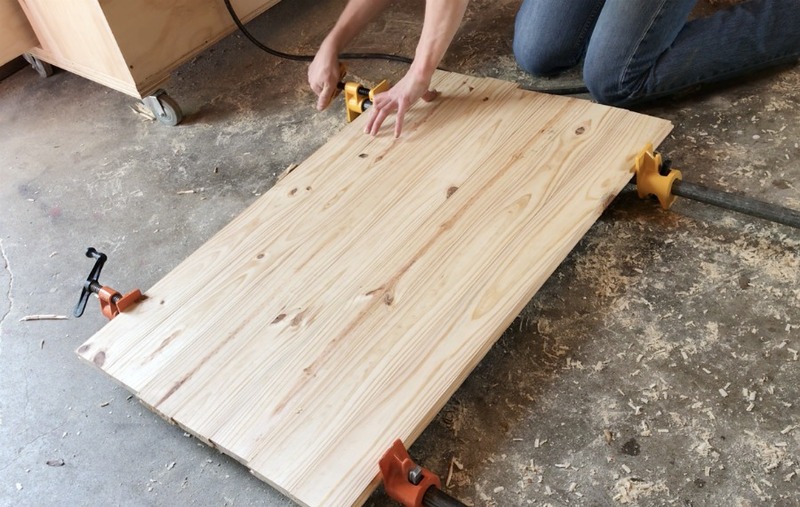 If using as a cutting board, it’s best to use a hardwood as well. 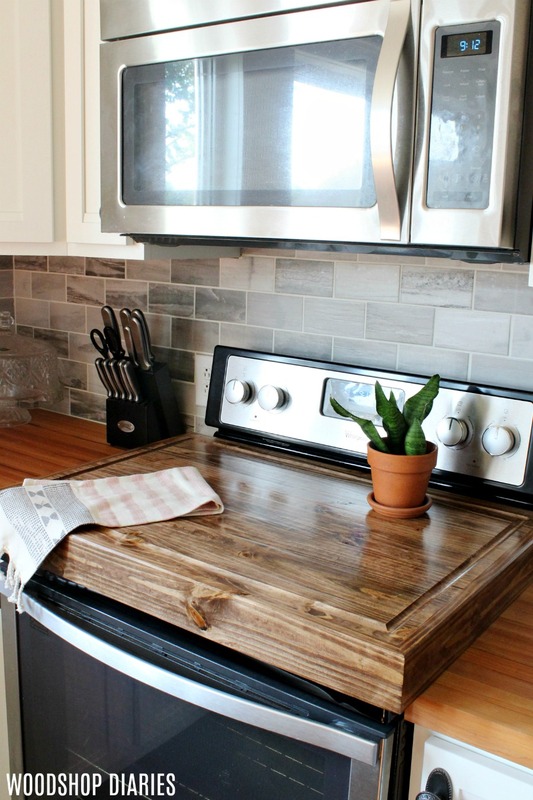 It’s great for adding a little extra counter space when you aren’t using your stove. 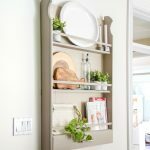 You could also flip it over to use as a wooden serving tray if you wanted. 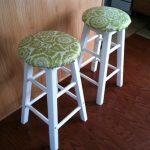 Shara is a math nerd with a passion for DIYing, woodworking and furniture building. 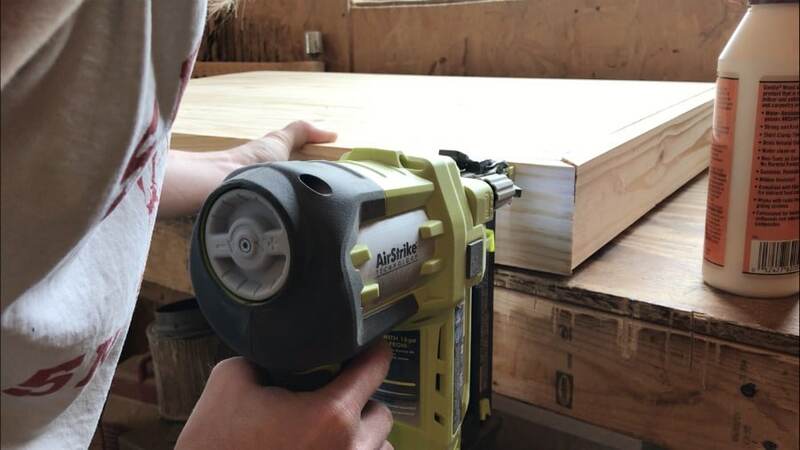 She works in a factory by day and in her woodshop by night. She lives in Kentucky with her husband, dog (Lucy Lou), and three cats. 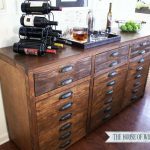 Shara started woodworking about three years ago and enjoyed it so much, she wanted to share her tutorials and experiences with others, so she started her own blog, Woodshop Diaries. When she isn’t working, building, or blogging, you can find her daydreaming of her next project or watching reruns of The Office. 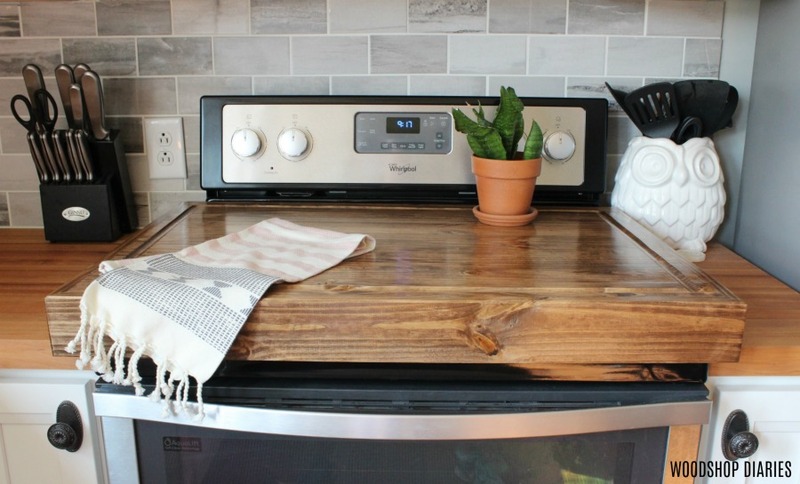 Would this be safe for a gas stove top (no oven)…? ?